Tycho: Dive | Album Reviews | Pitchfork. Tycho performs at The Social Thursday, Jan 26th. Scott Hansen, aka Tycho, is a fairly well-known graphic artist, and you can hear his design skills at play in his music. Like a particularly crisp logo or font, his songs have a good sense of scale and proportion, and it’s clear that a lot of work goes into them. Take a look at his artwork and you’ll have a good idea of what his electronic compositions sound like, too. Nostalgic, 1970s-inspired imagery, a heavy sense of tranquility and faraway longing, all tied together with a pretty sleek modernity. Several of these elements have been sort of beaten into the ground in indie music over the past few years, but with Dive, Hansen manages to pull them together in a way that still feels compelling. Tycho’s tracks are built primarily with synths and sampled live instrumentation, and his electro-organic approach brings to mind leaders in this field like Boards of Canada and Bibio. Sonically, too, he explores terrain similar to those guys’: “A Walk” and “Coastal Break” nail a pastoral peacefulness with warm, sepia-toned beats and flourishes of acoustic guitar. 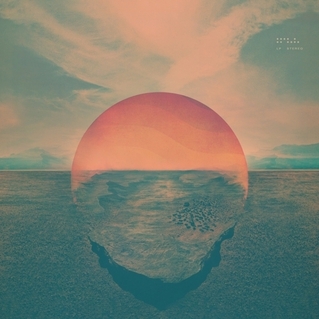 What separates Tycho, at least from a lot of the bedroom-oriented artists currently exploring similar sounds, is simple craft. These tracks are OCD-level meticulous. Hear it in the percussion: In place of the tinny, synthetic beats favored by lots of indie-ambient startups, Hansen takes extra care to capture real live drum sounds with a crack and thump that makes you feel like you’re in the room with them. His attention to detail goes beyond highlighting individual instruments. It’s there in the way Hansen simply builds a song, merging all the synth wooshes and percussive ripples to find a natural arc. “Daydream”, for example, starts out fairly simple with twinkly guitars and a sturdy, knocking beat, but the song’s pulse quickens as it progresses, and by the end you’ve got something heady enough to live up to its title. Because Hansen clearly wants this to be a deep headphone experience, those subtle shifts go a long way in holding your interest. And in terms of the imagery he builds– fields, pastures, calming oceanic scenes– it’s all there, and it’s pretty easy to set your brain on “relax” and conjure up those natural landscapes. If that nicely detailed tranquility is Dive‘s biggest selling point, it also exposes a nagging flaw, which is a lack of tension. Hansen is so committed to keeping things serene that he doesn’t incorporate much danger or risk, and at times the album can feel a bit one-note. An out-of-nowhere tonal change or an occasional tinge of darkness would give the record more balance, make it more interesting. That missing element of surprise keeps Tycho from reaching the same heights as BoC or Bibio (the former more otherworldly, the latter more adventurously poppy), but ultimately Hansen succeeds at what he sets out to do. Dive might not be the most ambitious instrumental record you hear all year, but it almost always sounds good.